Wayne Lamar DuBose (born July 30, 1946) is a Southern Baptist clergyman in his adopted city of Shreveport, Louisiana, who from 2015 to 2016 was the director of missions for the Northwest Louisiana Baptist Association, which includes Caddo and Bossier parishes. DuBose graduated in 1964 from Satsuma High School in his native Satsuma in Mobile County, Alabama and attended William Carey University in Hattiesburg, Mississippi. He received his seminary degree in 1971 from New Orleans Baptist Theological Seminary in New Orleans. 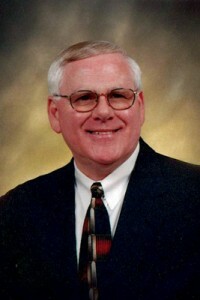 He has been the pastor of numerous churches in Alabama, Mississippi, and Louisiana, most extensively from 1980 to 1994 at Summer Grove Baptist Church in Shreveport and from 2001 to 2015 at the First Baptist Church of Minden, a congregation founded in the 19th century by George Washington Baines, maternal great-grandfather of U.S. President Lyndon B. Johnson. He left the Minden pastorate in the summer to 2015 to direct the mission activities of his denomination in northwestern Louisiana. T. Floyd Davis, Jr., who was the chairman of the search committee that selected DuBose, said that the clergyman has "a deep love for our Lord, wisdom, a wide breadth of experience, a heart for missions, and a genuine love for people." DuBose is now semi-retired as a small-church consultant for the Louisiana Baptist Convention. After leaving the missions directorship, he completed a stint as interim pastor of the Cook Baptist Church in Ruston, Louisiana. Early in 2017, DuBose participated in a prayer gathering at his former Summer Grove Baptist Church. The attendees, including U.S. Representative Mike Johnson of Louisiana's 4th congressional district, called for a spiritual awakening in the state and nation. DuBose noted that in 2016 some 90,000 Christians worldwide were martyred for their faith, and thousands of others face serious persecution for their beliefs. DuBose is married to the former Linda Kay Ishee, a retired teacher and writer born in Laurel, Mississippi, on August 18, 1946. The couple has two children: Tammy Kay Jones of Shreveport and Todd Wayne DuBose, the associate pastor of worship at First Baptist Church in Minden. There are eight grandchildren. DuBose and his son co-hosted a tour of the Holy Land from March 13–22, 2018. ↑ 1.0 1.1 Wayne DuBose. Facebook. Retrieved on November 28, 2017. ↑ 2.0 2.1 2.2 Northwest Baptist Association calls Wayne DuBose as DOM. The Baptist Message (March 28, 2015). Retrieved on November 28, 2017. ↑ Brian Blackwell (February 1, 2017). Shreveport prayer gathering calls for spiritual awakening. The Baptist Message. Retrieved on November 28, 2017. ↑ Linda Kay Ishee DuBose. Facebook. Retrieved on November 29, 2017. ↑ Travel Through the Bible. Maranathattours.com. Retrieved on November 28, 2017. This page was last modified on 17 July 2018, at 16:57.